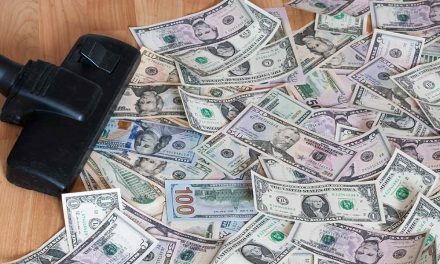 Corded stick vacuums are on the rise again as they challenge their cordless counterparts in terms of durability, functionality, performance, and price. Corded sticks offer the advantage of never running out of power allowing you to take on larger cleaning tasks uninterrupted. In addition, they offer all of the other beneficial characteristics that a stick vacuum has to offer such as being very lightweight and convertible. 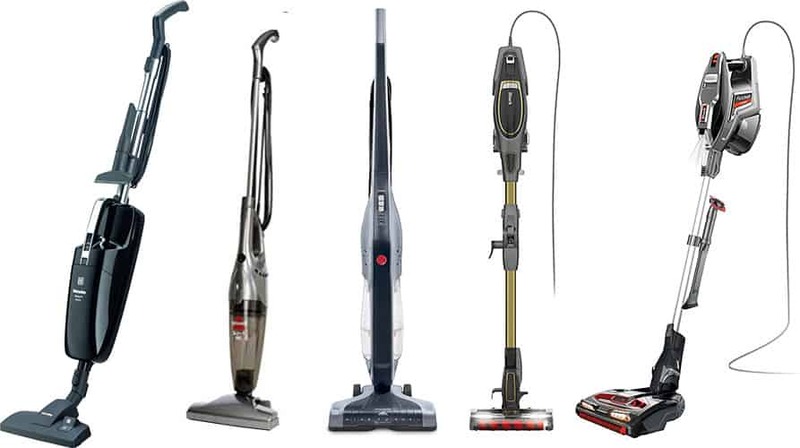 This review looks at our top picks of the Best Corded Stick Vacuums in the market today. Shark DuoClean Rocket (HV382) 9.9 lbs. 4.6 lbs. as hand vac 0.91 dry quarts Washable felt and foam filters (non-HEPA) Bagless 600 watts 5-Year VIP warranty Pet Multi-Tool, Duster Crevice Tool, Wall Mount Storage Hook 30 ft.
Miele Swing H1 Tactical 9.4 lbs 2.6 quarts IntensiveClean Plus K Filter Bag & Standard AirClean filter (HEPA optional) Bagged 1,000 watts 5-Year Limited warranty Two-piece accessory set, Upholstery tool, Crevice tool, AllTeQ Combination Floorhead 29.5 ft.
Shark Flex DuoClean (HV391) 9 lbs. 0.4 dry quarts Washable felt and foam filters (non-HEPA) Bagless 600 watts 5-Year VIP warranty Pet Multi-Tool, Duster Crevice Tool, MultiFLEX Under-Appliance Wand 30 ft.
Hoover Linx SH20030 7.3 lbs. No info Washable foam filters (non-HEPA) Bagless 220 watts 2-Year Limited warranty No attachment and accessories 20 ft.
Bissell 3-in-1 4.05 lbs 750 ml Single washable filter (non-HEPA) Bagless 220 watts 1-Year Limited warranty Crevice tool 16 ft.
You can vacuum clean just about anything, anywhere around your home with the Shark Rocket DuoClean. This ultra lightweight upright vacuum easily converts into a hand-held vacuum that covers floor-to-ceiling and wall-to-wall cleaning. Its DuoClean Technology employs two brushrolls that are perfect for both hardfloor and carpet surfaces, removing varyious types of dirt via SharkNinja’s Triple Particle Cleaning®: large, small, and stuck-on particles. It also includes useful features such as: LED lights on the hand vac and nozzle that illuminate surfaces; an extra-long cable and height adjustment for mobility to clean hard-to-reach spots; and bagless technology for easy and economical dirt capture and disposal. DuoClean with two brushrolls—bristle and soft—cleans three types of dirt: large, small, and stuck-on particles off your floors and carpets. Versatile ultra lightweight upright vacuum at only 9.9 lbs convertible to 4.6 lbs hand vacuum. LED lights on nozzle and hand vac that shows up hard to spot dirt and dust. Pet multi tool to remove embedded fur from surfaces. Bagless, easy to handle and maintain – no ongoing costs of replacement bags. Comes with a Pet multi tool, Duster crevice tool, and Wall mount storage hook. Highly adaptable as it easily converts from an upright to hand vacuum to clean just about anything, anywhere. Cleans dirt and dust thoroughly with its exceptional suction power. Two power levels that readily adjust to suit different floor types and surfaces: hardwood floors to carpets, rugs and furnishings. Easy to handle and has great extension capabilities for high to reach areas. Has a wide-array of tools and attachments. Attachments to previous models fit this new model perfectly. Small cup to hold the dirt so it needs to be emptied quite frequently. Room for improvement on dealing with pet hair. Pet hair getting tangled on the brushes has been noted by a number of consumers. Hard to vacuum small rugs, it will only eat it up. The upright vacuum does not stand up on its own. It needs to lay down on the floor or lean against something. The highest suction setting can make handling the vacuum difficult for some because it is so strong. Although it doesn’t fail to remove debris off thick carpets. 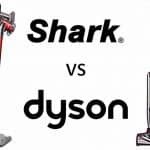 Below you will find two videos from the Vacuum Advisor’s thorough review on the Shark Rocket DuoClean HV382: the first one highlights the positives and the second the negatives. The Shark Rocket DuoClean is a relatively heavyweight vacuum cleaner considering its lightweight size and appearance. It does thoroughly clean hard to reach surfaces because it is very mobile and manoeuvrable, however lacks on the promise of removing pet hair effectively . It easily converts from an upright vacuum to a hand vacuum so versatility goes to this midget-size entry. Our favourite vacuum brand, Miele introduced a new corded stick vacuum in 2018, the new Miele Swing H1 Tactical. 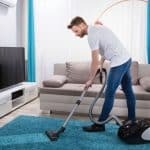 This handy vacuum cleans your house meticulously 3-ways: it works as either a hand vacuum or its innovative rotatable telescopic wand can easily be adjusted to fit to the top of the vacuum or to the bottom. 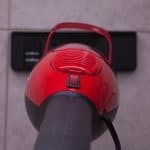 Miele employ a number of design characteristics in their Swing H1 Tactical that compliments motor power to ensure a highly efficient cleaning tool—a tightly sealed vacuum and a perfect air flow for strong suction from its floorhead, even at its lowest power setting. Rotatable head and adjustable height. German made and quality, durable, robust build. The stainless telescopic wand is easily adjustable to preferred height in just a click of a button, making cleaning convenient and gentle on your back. Ergonomic and easily accessible switch and buttons. Vacuum large areas with its 9-meter operating radius. You’ll barely need to change sockets to reach every area. Highly manoeuvrable with its slender casing and an extra low center of gravity for ease of use. Relatively heavier than it looks compared to other stick vacuums. We haven't sourced any video reviews of the Miele Swing H1 Tactical as of yet. Stay tuned on this site as this will be updated upon release of the product. User convenience is the top priority of the Miele Swing H1 Tactical with its easily adjustable and rotatable telescopic wand, ergonomically placed switch and button, and long cord to reach every areas. We think this is one of the best corded stick vacuums in 2019 because of its exceptional filtration compared to the others, which not only ensures cleaner surroundings but also fresher air. 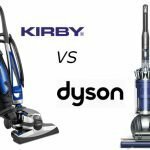 It's also the only bagged vacuum in these corded stick vacuum reviews and so if you prefer a bagged model then this might be the best choice for you. Another one from the Shark DuoClean family is the Shark Flex. 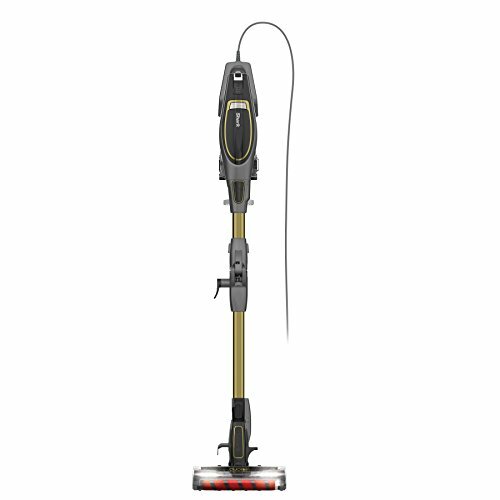 This “multi technology” corded stick vacuum incorporates Shark’s tested technology and new innovations. Much like its Rocket line relative, it also boasts DuoClean Technology comprising a bristle brush for deep cleaning and a soft brushroll to pull in larger particles and polish-shiny surfaces. The Shark Flex DuoClean also introduces another innovation, the Multiflex Technology that “flexibly” cleans hard-to-reach areas, like under the furniture, appliances, beds, couches. 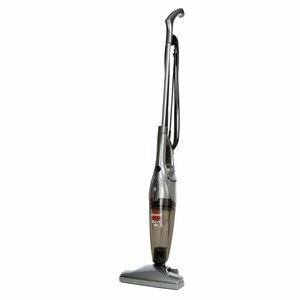 In addition the corded stick vacuum includes a long, slender wand to reach ceilings and elevated surfaces and easily converts to a handheld vac to clean stairs, edges, and similar surfaces. It also features the Anti-Allergen Complete Seal Technology that captures 99.9% of dust, dirt, pollen, and other allergens for safer and healthier surroundings. Lastly, are its Active-Glide Technology for a smooth ride over surfaces and Noise Reduction Technology that reduces the noise during vacuuming. DuoClean Technology of a bristle and soft brushrolls for a deep clean and polished look. MultiFlex Technology to reach varying surfaces: under, elevated, edges, and small, thin spaces. Plus, it is freestanding, compact storage. Anti-Allergen Complete Seal Technology that protects from and captures 99.9% of dust and allergens down to 1 micron. Designed to pick up pet hair and human hair. Active-Glide Technology to easily manoeuvre on floors and carpets. Versatile ultra lightweight upright vacuum that easily converts a handheld vacuum. Lightweight , easy to use upright and handheld vacuums. ‘Do it all’ floor and carpet cleaner. Very flexible, designed to work around and under couches and chairs, beds, furniture and appliance. Highly functional and heavy duty cleaning performance. Good at picking and pulling pet hair and dander compared to its predecessors and other corded stick vacuums. Small cup, it doesn’t hold much. Requires emptying more often. The cord can get in the way of the stick making it a little hard to manoeuvre. However this is a potential problem for all corded stick vacuums! Doesn’t stand upright by itself. 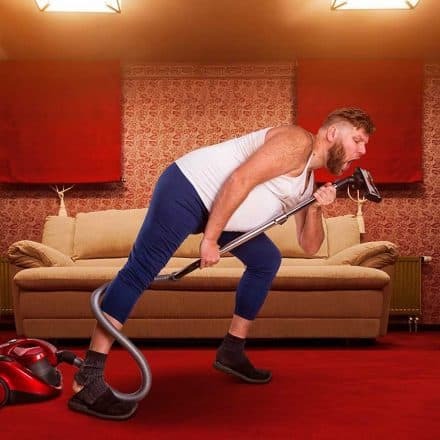 When using the vacuum for extended periods it can be tiring on the hands and back. That's how powerful this stick vac is! The Shark Flex DuoClean is a versatile, multi-technology, and multi-purpose vacuum that is a cut above the rest. Shark have shown in producing the Flex its trusted technical capability to deliver innovations in vacuums. Its brand name, ‘Flex’ is well suited to this vacuum’s flexible use and design. Weighing just below 8 pounds, Hoover’s Vacuum Cleaner Linx won’t fail to deliver on its promised performance. This is a very slim and adaptable vacuum, it can clean hiding dirt and dust off any surface. You can easily reach hard to clean spaces with its extremely low profile base. Equipped with the power brush rolls’ Cyclonic Technology, it easily cleans low pile carpets, rugs, and hard surfaces. In addition the multi-cyclonic suction keeps your filters clean for longer and prevents loss of suction. Maneuvering is assisted by its swivel steering feature and extreme recline handle. Powered Brushroll infused Cyclonic Technology that easily transitions from hard flooring to rugs and low pile carpeting. Has a brush on/off feature. Lightweight and extreme recline profile base to clean hard-to-reach spots. Washable filters – unfortunately these are not HEPA, however the fact that they are washable means they won’t need to be replaced too often. Wide 11” cleaning path with an inlet for picking up larger debris. 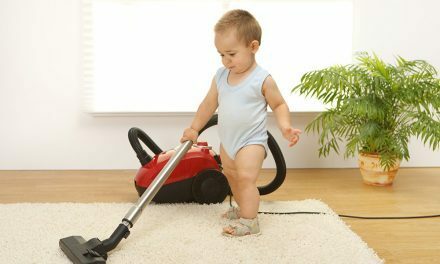 Despite it being a small machine, it gets hair and dander off rugs and carpets effectively. Great for spot clean ups considering it’s corded. Too small dust bin and requires emptying frequently. Need to go back-and-forth to pick-up larger debris. This can increase your cleaning time. Weak suction and only for light duty cleaning. Less versatile because of lack of hose and attachments, such as the crevice tool to clean areas above floors. 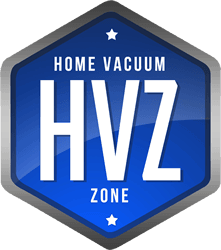 The Hoover Vacuum Cleaner Linx is ideal for small- up to medium-sized homes, mainly hardwood and low-pile carpeting. It is lightweight and easy to move around but not comparable to Shark’s and Dyson’s flexibility. However, its price is in the lower-end of the spectrum, so it is still a good buy. 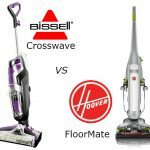 The lightest and the cheapest corded stick vacuum in our list, the Bissell Lightweight 3-in-1 Corded Stick Vacuum is a handy multi-purpose cleaning tool. Use it 3-ways: a stick vacuum for your floor surface areas; remove the Quick Release Handle to clean conveniently on stairs or any elevated surfaces; and finally, remove the handle and floor brush head to act as a hand vacuum for cleaning furniture and upholstery. 3-in-1 function to clean varying surfaces. Long enough cord at 16 feet to clean a medium size room without unplugging or moving to a new outlet. Very light weight, even a small child can move it around with ease. Good suction performance for both dust and pet hair. Good for quick, light duty house cleaning. Versatile upright and handheld vacuum. Very cheap price for a "good-enough" vacuum. Not very useful on carpets, even on low piles. Cord is too short for larger homes. No Easy Empty dirt cup. Can only hold 750 ml of dirt. The parts could easily break and are not as robust as a Miele or Dyson for instance. A good-enough vacuum for your quick and light cleaning needs for relatively smaller spaces. 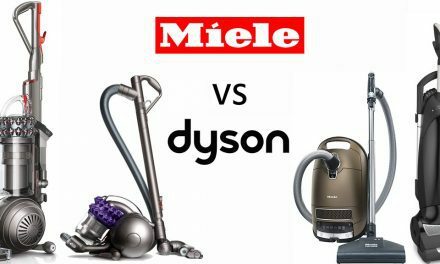 Given its cheap price it does a lot as a stick vacuum and hand vacuum, though will obviously not comparison to a more sturdy, flexible, and higher priced vacuum such as the Miele or Shark.